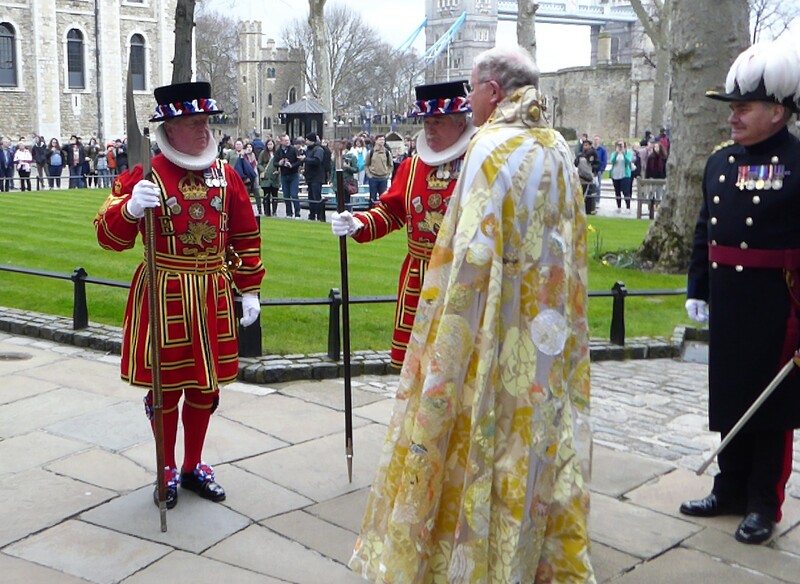 At The Tower of London, the Chaplain, Canon Roger Hall, personally took the initiative at Easter, by proudly wearing a magnificent cope called ‘Profane To Sacred’ during The Easter Day State Service at the Chapel Royal. Canon Hall said he felt deeply honoured and that other church ministers will also use it to emphasise the importance of the pollution scandal; the Dean of Southwark will wear it to feature in the Totally Thames Festival during September. The Royal Chaplain personally hopes that the symbolic cloak may eventually return to St Peter’s Ad Vincula, to be put on permanent display for visitors to the Tower. Art and Design student Sarah Wilson designed and made this beautiful cope, having collected six kilos of plastic waste items from the Thames, and weaving them into the material. She is said to be delighted about this church initiative. Tower Of London Chaplain, Canon Roger Hall, wearing the Profane To Sacred Cope, Greeting The Governor, Chief Yeoman Warder And Gaoler, Prior To The Easter State Service. St Katharine’s is central in caring about the environment. The Docks Management here have recently hosted bold initiatives to bring better public awareness of our awful pollution problems, and I understand that further plans are in hand, again cooperating with Totally Thames (which organises the annual Thames Festival) and is likely to include this same theme again this year. 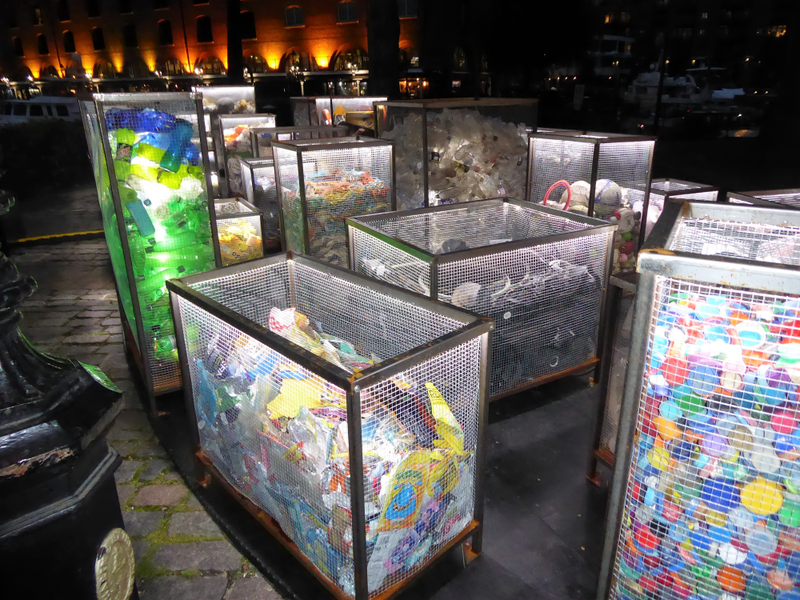 The picture below shows the inspirational creation ‘Future Dust’ by Maria Arceo, an excellent, visually striking exhibition that came to St Katharine’s and other Thameside locations last year; people were deeply moved and shocked seeing all this rubbish that had been collected from the Thames and the message it represented. 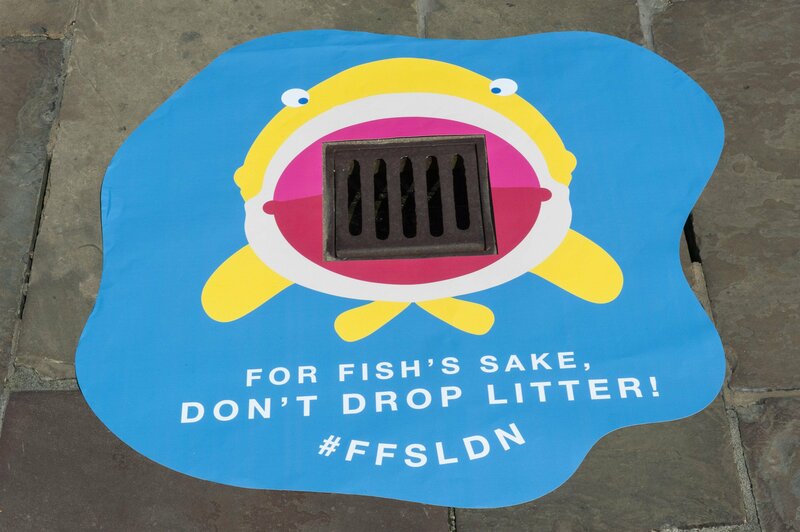 St Katharine Docks has also hosted numerous other ‘anti- litter dumping initiatives,’ such as the cleverly worded ‘For Fish’s Sake.’ #FFSLDN. Organiser Hubbub is calling on Londoners to help stem the flow of litter into the Thames. 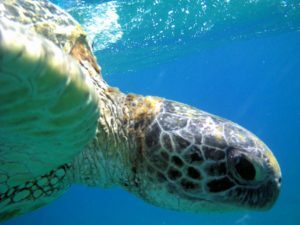 For Fish’s Sake, Don’t Drop Litter. 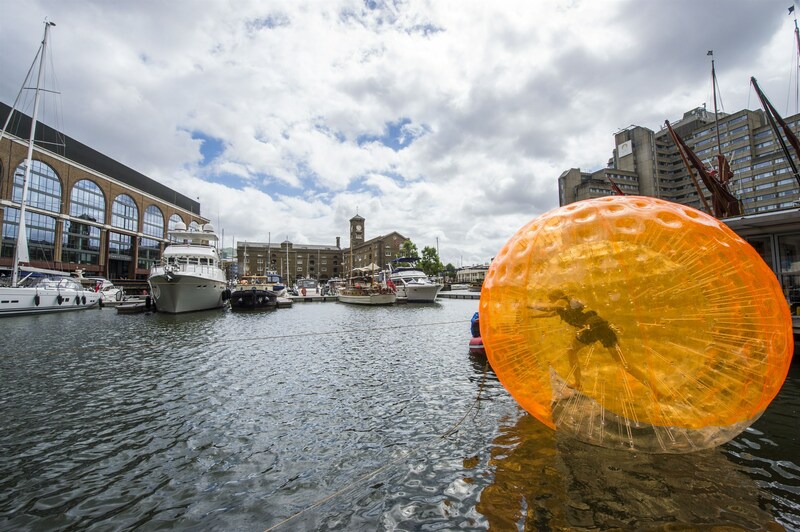 Neighbouring St Katharine Docks is celebrating its 190th anniversary this year. My book features both the ancient dokke, which saw incoming trade from the fourteenth century, and the famous Telford Docks, which imported luxury items into St Katharine’s. Sadly, exotic feathers, brought here from many far away countries, became almost extinct, until the trade was made illegal and the RSPB was formed. Huge amounts of turtle shells, elephant and rhino tusks were also sold through St Katharine’s. Turtle Shells Traded In Thomas Telford’s famous St Katharine Docks. The Nation benefited enormously from all this trade and older people can remember when the Thames was lined with ships, and all our great docks were full. Times have changed dramatically; our environment is seriously challenged and it’s now time to clean up. 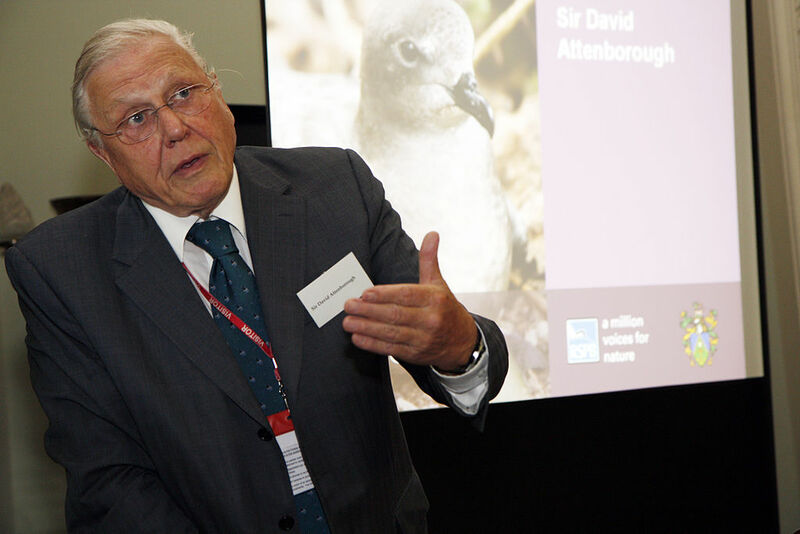 The above- mentioned initiatives all help to support the vital message of BBC’s Blue Planet 2, when Sir David Attenborough showed us what is happening in our seas and oceans; it shook our national conscience. He finished the series by saying “The future of all life now depends on us.” It certainly does.